Is there a missing piece in your plastic, or is it cracked or broken? 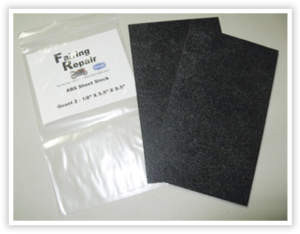 ABS plastic repair is a breeze with our one-part epoxy products developed for rapid deployment on damaged parts. This is the essential “high-speed, low drag” plastic weld product. It’s unlike anything you’ve ever seen, like JB Weld, which uses two parts and can be very messy while getting expensive. Forget using duct tape to hold pieces together, and get a real fix of that broken piece for ABS type plastic. 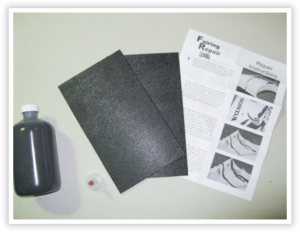 There are many uses for our ABS cement product, including fixing water tanks for RVs, fast repair on plumbing pipes made of plastic, fairings on motorcycles, automotive repair and more. This product will strengthen and become stronger than the original part it’s fixing. Repairing plastics with our ABS slurry has been used by thousands of consumers world-wide and is the #1 product developed with you in mind. It’s more than a glue, it’s actual plastic that comes in a slurry, then hardens fast and strong. We’ve even got you covered with several different types of patches to use behind broken pieces. 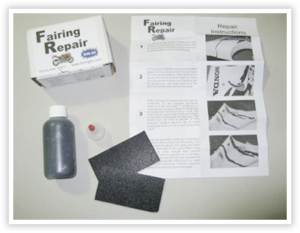 Finding the right ABS plastic repair kit just got easy, with something for every kind of repair, including the cracked bumper repair kit here https://easyabsrepair.com/repairs/automotive-repair/. Get yours delivered now and stop wasting time and money on Micky-mouse repairs and OEM replacement parts!
. Get yours delivered now and stop wasting time and money on Micky-mouse repairs and OEM replacement parts!